In Delhi, they are confident that the Russian side will not undertake any actions that could adversely affect India, said Syed Akbaruddin spokesperson for the Indian Ministry of External Affairs. 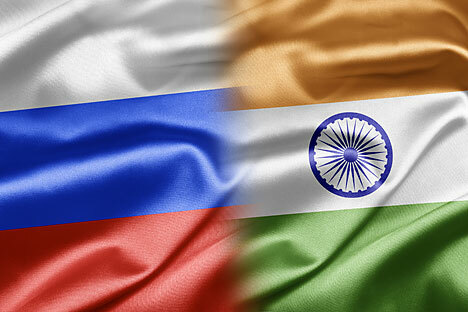 India’s Foreign Ministry spokesperson expressed confidence that the Russian-Pakistani cooperation agreement in the energy sphere will not affect relations between Russia and India, despite the long-standing tensions between the authorities of New Delhi and Islamabad. “India and Russia have a strategic and privileged partnership. Recently high-level talks were held between India and Russia, where we were assured that Russia would not take any actions that might be detrimental to our country’s security interests. Therefore, we are confident that our Russian friends fully understand our concern on this issue and will not undertake anything that could have a negative impact on us,” said Indian Foreign Ministry spokesperson Syed Akbaruddin, in response to a question asked at a press conference by a SPUTNIK correspondent. In November of this year, the Russian Defense Minister Sergey Shoygu traveled to Islamabad on an official visit, during which an agreement was signed in the energy sphere worth 1.7 billion USD. Under this agreement, Russia will construct a pipeline to supply liquefied natural gas (LNG) between the cities of Karachi and Lahore in Pakistan. The delivery of gas supplies is planned to start in March 2015. During his visit, Mr. Shoygu also signed a cooperation agreement between the defense ministries of Russia and Pakistan.